Betty Lois Lambeth, age 76, passed away April 19, 2014, at Mercy Hospital in Springfield, Missouri. She was born on May 16, 1937, in Warsaw, Missouri, to Bill and Dimple Hankins along with five siblings. Betty graduated in 1954 from Warsaw High School in Warsaw. She moved to Kansas City, Missouri, soon after graduation, and worked at Sears, Roebuck & Company, where she met her husband of nearly 59 years, Benjamin S. Lambeth. They married May 29, 1955, and were blessed with their first son, Stephen Ray, on February 10, 1956, followed by Kevin Lynn on February 24, 1960, and Jeffrey Allen, February 16, 1967. Preceding Betty in death were her parents, Bill & Dimple Hankins, and two sisters: Bonnie McDaniel and Blondena Campbell. Survivors include her husband, Ben, with whom she shared nearly 59 years of married bliss; her three sons; two brothers: Bob Hankins of Windsor, MO, and Boyce Hankins of Batavia, AR; one sister, Belva Hinchey of Kansas City, MO; four grandsons: Connor and Patrick Lambeth of Battlefield, MO, Matt Lambeth of Warren, TX, and Mike Lambeth of Reno, Nevada; one granddaughter, Jessica Cullen of Republic, MO; and two great granddaughters: Lanie and Piper Lambeth of Warren, TX. Betty was a beloved mother, grandmother, and friend. She was a faithful member of the Baptist Church for many years. She served as a Sunday School teacher, choir member, and church officer and was first to volunteer when needed, showing her love of people and her kindness. Betty dearly loved the game of baseball, either watching her kids, grandkids, the Kansas City Royals, or that other team on the east side of the state. Betty read daily, loved her family, and loved the Good Lord. She will be greatly missed. 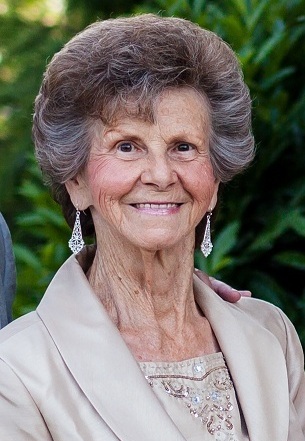 Funeral services for Betty Lambeth will be held at Bland-Hackleman Funeral Home on Wednesday, April 23, 2014, at 1:00 p.m., with the family receiving friends from 12:00 noon until service time. Rev. Don Barger will officiate. Burial will follow in the El Dorado Springs City Cemetery under the direction of Bland-Hackleman Funeral Home. Pallbearers are: Dennis Kerley, Randy Lambeth, Mike Lambeth, Connor Lambeth, Patrick Lambeth, and Blaine Cullen. Honorary pallbearers are: Matt Lambeth, Mike Lambeth, Jessica Cullen, Megan Hunt, and Julie Lambeth.